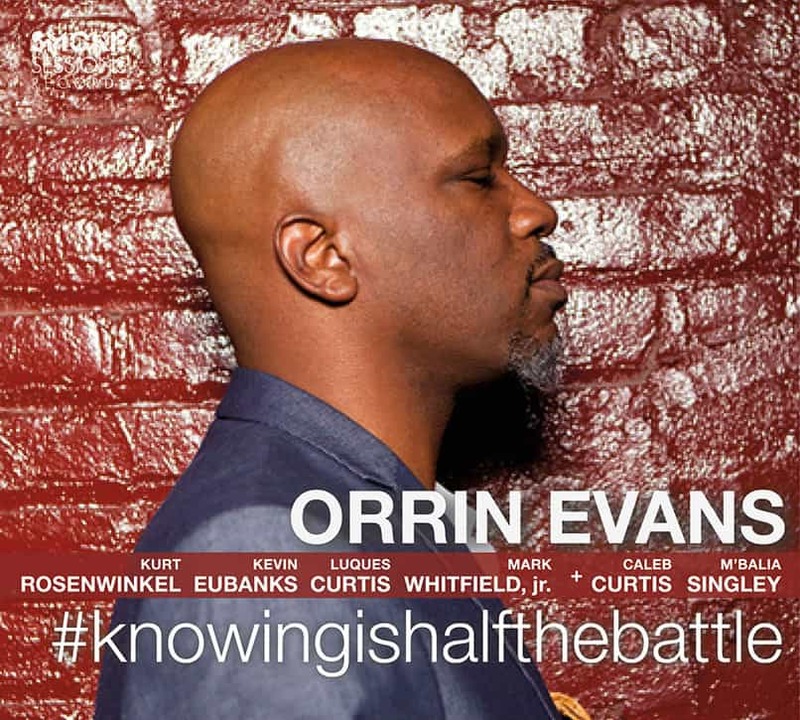 Pianist / composer Orrin Evans’ Third Album for Smoke Sessions Records, #knowingishalfthebattle, delivers the kind of edge-walking spontaneity that is familiar to anyone who’s ever seen him perform live. It is a raw, electrifying date that teams him with a pair of renowned guitarists who are also, not coincidentally, native sons of Evans’ own hometown of Philadelphia: Kevin Eubanks and Kurt Rosenwinkel. Invigorated by a thrilling sense of looseness and in-the-moment invention—an “anything could happen” vibe—the recording draws visceral performances from the full ensemble, but especially from the two six-string wizards that join in for the session. Orrin also features the latest in a long line of inspired rhythm sections, bassist Luques Curtis and drummer Mark Whitfield, Jr., along with up-and-coming saxophonist Caleb Wheeler Curtis and a longtime collaborator, vocalist M’Balia. #knowingishalfthebattle shows Evans coming to terms with what he’s learned over his years on and off the bandstand—and more importantly, how to make use of that knowledge. The answer he’s come to involves letting go, forgetting what’s been learned and trusting the instincts that come along with it. By inviting such virtuosic musicians into his world, he’s asking them to do the same and making new discoveries through a collective act of forgetting.